Born at Khandaghosh of Bardhaman district. He passed law in 1908 and began practice at Purulia court. Then he left practice & joined the Non-Cooperation Movement against British. 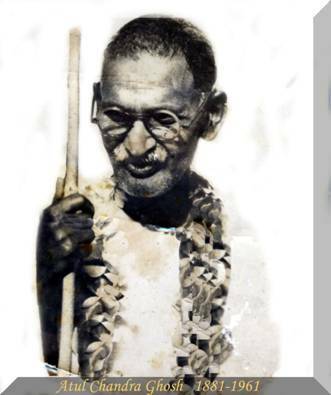 He was a prominent personality during the freedom struggle. Along with Nibaran Chandra Dasgupta, he was the co-founder of “Shilpashram”, (Rural Industry Development inside the Ashram living mode) at Telkalpara, Purulia town. 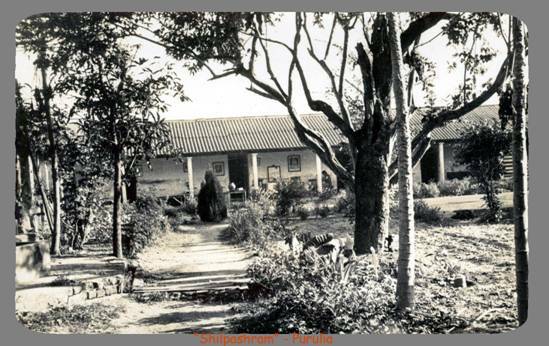 “Shilpashram” was the epicenter of the freedom struggle of Manbhum region. He was known as “Manbhum Keshari”. After demise of Rishi Nibaran Chandra, he became the editor of the “Mukti” Bengali weekly. Atul Chandra was the President of Lok Sevak Sangha from its inception. He was the chief architect of famous “Padyatra” of “Bangobhukti Andolon” (agitation for accession of Manbhum district to West Bengal from Bihar) from Pakbirrah to Kolkata.